This was such a useful article! A good description of what happens to Founders at the top. Do you agree with the Zuckerberg Way? Dr. Ford’s Response to Senator Feinstein’s Question — Wow. There's a huge difference between how our brain records information during trauma and how it records information with no trauma taking place. When trauma occurs of a sexual nature, it's even more impactful. For Dr. Ford, the memory is indelibly etched in her brain. Fo Brett Kavanaugh, his behavior toward Dr. Ford was unremarkable. It was simply business as usual when he was drunk. For him to deny it happened simply because he does not remember is laughable. With no specific date, time or place to nail down the occurrence, his patent denial is over reach. This is incredible! Great job Scotland! Women have to be feared and respected because you can never tell what is in their heart. Did you watch “Crazy Rich Asians” yet? I loved the movie, and I particularly loved this article which explains that pivotal mahjong scene. Wow, why do you think Bozoma is leaving Uber after just a year? @Tiffany Pham registering tomorrow! So excited for this event!!! Is it September yet? Wow. I can’t imagine Vogue without Anna Wintour. Did you know the 20 cognitive biases that can hurt your decisions? 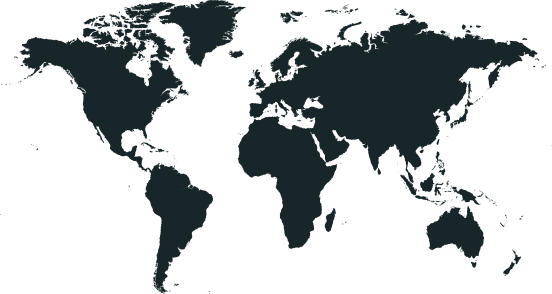 This is equivalent to the combined populations of the United States, Russia, Mexico, Germany, France, the United Kingdom, Canada, Japan, Brazil, and the Philippines. Can you guess what LinkedIn looked like when it first launched 15 years ago? The Universe is an amazing place. That we are part of it...I can't even express. This is amazing news! What a wonderful way to start a Friday! I wonder how many years it will take for Oprah to get her OWN money LOL? Love this post: "I grew up on the rough and tumble streets of West Philadelphia. My family lived in a racially divided neighborhood where every nationality, creed and color existed within a short distance of each other. To say things were always tense is a huge understatement." Today is the Day of Mogul's "Women in Crypto" Event! For those of us who use My Fitness Pal, I wanted to bring this up to your attention! INVITE: I am PERSONALLY hosting a "Women in Crypto" Summit at Mogul in NYC on April 5th, 6pm to 8pm ET. Want to attend or live stream? Just RSVP'd! Thank you for sharing! Fantastic thoughts and insights, @Celine Yan ! I agree with you. Mogul Receives Its First US Trademark: "xxCoders"
This seems like an important read for many of us. It's stories like these that make the world instantaneously terrifying and alluring. Excellent Instagram brand-building tips from Gary Vaynerchuk -- our investor at Mogul as well as Snapchat, Twitter, and Facebook! Join 300 Hollywood Actresses & More in Saying "Time's Up"
A wonderful start to 2018 for women! Driven by outrage and a resolve to correct a power imbalance that seemed intractable just months ago, 300 prominent actresses and female agents, writers, directors, producers and entertainment executives have formed an ambitious, sprawling initiative to fight systemic sexual harassment in Hollywood and in blue-collar workplaces nationwide. The initiative includes: — A legal defense fund, backed by $13 million in donations, to help less privileged women — like janitors, nurses and workers at farms, factories, restaurants and hotels — protect themselves from sexual misconduct and the fallout from reporting it. — Legislation to penalize companies that tolerate persistent harassment, and to discourage the use of nondisclosure agreements to silence victims. — A drive to reach gender parity at studios and talent agencies that has already begun making headway. — And a request that women walking the red carpet at the Golden Globes speak out and raise awareness by wearing black. Happy New Year, Moguls! What is your 2018 New Year's Resolution? Thanks for thinking of me @Tiffany Pham! I'm aiming to reach and help even more people find, keep and nurture love. Sad, really sad. Einstein, for all his brilliance still subscribed to convention in many foolish ways. His ideas on marriage, when viewed from today's context are ridiculous, but, sadly, they were par for the course at the time. He had limited ideas concerning religion as well. We tend to assume genius in a particular field automatically extends to sensibility in life in general, but it does not. Immersion and the development of different psychological Aspects of Being can result in severe compartmentalisation. Sadly, what happens inside the bubble of one Aspect can be completely at odds with what occurs inside the bubble of another Aspect. We can learn much from this and examine our own compartmentalisations of being and especially what happens when we become immersed in some Aspect. We will often subscribe to vastly different beliefs and logics while immersed inside that Aspect's bubble, often with disastrous or horrific results. Also, the results of specific behaviours do not define the person as a whole. Amazing. Happy new year's, Moguls! Malala should be able to wear whatever she wishes, without trolls criticizing. This is a great article on what's next for 2018. Here's What Happened at Mogul in 2017. It's All Thanks to You. This is a fascinating chart from Harvard Business Review. Which personality trait do you have? I want to watch Frida tonight in honor of Salma Hayek's fight. Disappointed but not surprised at this. Wow... @TiffanyPham That is interesting. I don't have kids and I don't regret it at all. There was a time when I wanted kids and it didn't work out then. There were always many emotions around that but now I can see that it was for the best. I feel complete and whole without being a mother. I try very hard never to judge the thoughts and feelings of another person. You just don't know how a person really feels but I have to say that for me, personally, it's hard to hear that people have regretted it after they had kids. I can understand their regrets and I get what they are saying but I wonder how their children feel? I think that is hurtful to them. Interesting for sure..... I'd love to hear other comments. Really interesting insights on how company founders are much more likely to be running large companies now than before -- when it was more common for founders to be replaced by more experienced CEO's. When relatives and guests make an appearance this holiday season, do not force your daughters to hug them. That’s the latest advice from the Girl Scouts of the U.S.A. According to this research study, if an emergency happens, call for a private car, not an ambulance: "They found that of the gunshot victims who came to the E.R. via ambulance, 19.3 percent died of their injuries compared to only 4.5 percent who came in a private vehicle." AOL Messenger Is Shutting Down. What Was Your AIM Screen Name? Best Ones Get Mogul Swag. What an inspirational story about Lynda.com! I could definitely relate to StitchFix Founder & CEO Katrina Lake in this very interesting interview. She talks about not wanting to raise more capital than needed (a very un-Silicon Valley-like mentality) and being lonely at the top. Could you relate in your field? This was thought provoking from the artist of women's bodies: "As an artist, what can I consider if I want to de-objectify and add power to female characters?" These are fantastic resources for our Mogul entrepreneurs! This is hilarious. As a fan of the Cards Against Humanity team, they got me again with this practical joke! This is an unfortunate database to have to keep for the future. But the next time you are raising VC funding, definitely keep this information in mind. It's crazy when you realize Halsey is only 22 years old because she has accomplished so much in such a short time but I love the comments she makes about putting in the work and being the CEO of your own brand. Technically we are all the CEOS of our brand whether we recognize it or not.